Documenting this world through Music, Writing, Film & Television. Still searching for a sound and an instrument with which I could be identified, I began looking for a double-necked bass— one neck fretted, one neck fretless. Up to this point, my goal had been to try to make a fretless bass sound like a fretted bass while slapping, and to try to make a fretted bass sound like a fretless one by playing it so that each individual note bloomed or swelled as much as possible… On a doubleneck I could legitimately achieve both things, both emotions, even within the same song. A doubleneck would also create a striking visual image for photos, videos and live appearances. The problem was finding one. I tried all of the companies I could think of— Steinberger wouldn’t build me one of their L-series instruments as a double-neck, only their lower line instrument, and they told me themselves, “I don’t think you really want one of those…” Alembic would build me one, but they wanted $5600— I could have bought a car for that amount… I had wanted to buy American, but after a couple of months of calling around I couldn’t find a suitable American manufacturer, so I turned to the maker of Wal basses. I had been trying to avoid Britain-based Electric Wood, as the company was actually called, because even though I knew they made an excellent bass, Jonas Hellborg was already associated with Wal. And to make the Wal option even less attractive to me, he played a Wal doubleneck. But for my budget, and for the simple reason that they agreed to build it, I ordered a Wal. I made sure to specify a different finish than the one Jonas had on his bass. Ironically, when I first purchased the Jaydee, and Jaco was still alive, his reputation had been extremely bad, and it might almost have been a negative that he had played the bass. There was, for example, a scratch on the bottom of the bass that he was said to have put there… Now that he was gone, however, he was being hailed as the troubled genius that he actually was… and I no longer wanted to risk something happening to the bass by continuing to take it out to gigs. It was now a part of bass history. See Jaco: The Extraordinary And Tragic Life Of Jaco Pastorius: “The World’s Greatest Bass Player”, by Bill Milkowski. Jaco’s death put things into a larger context for me. 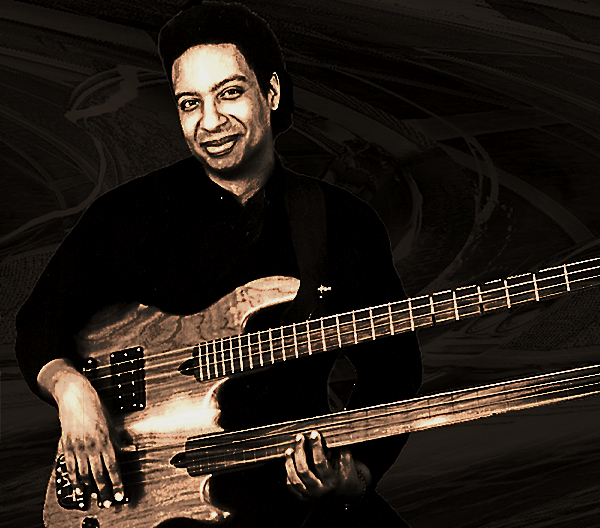 Jaco had been, from a media point of view, perhaps the most well-known electric bass player in the world when he died. And yet the passing of a bass player doesn’t even really cause a ripple in the surface of the world at large. The passing of a jazz musician, even a “genius”, doesn’t really give most people pause. The passing of any musician or artist seems to go unnoticed and unreported except in arcane journals and by word of mouth— which was how I first heard about what had happened to Jaco… and which, ironically, was the name of his big band. I aspired to be a great bass player, a great musician, not daring to even hope to be as successful at it as Jaco— and the world didn’t even care about Jaco. It was a sobering realization— an inverse epiphany of sorts, and his death made me sit down and consider: Just what was I doing this for…? It wasn’t just for money, otherwise I should be out there trying to get a gig with Michael Jackson, who was said to be paying his drummer $35,000 a week… If it wasn’t for the money, and it wasn’t for women (and it wasn’t, otherwise I would have taken advantage of the dark-haired woman’s offer at that club in Portage)— then it must be for the Music. But I had to admit to myself that I wasn’t really getting the charge out of the music I had gone into this whole thing for… Something was missing. We were playing the coolest jazz-fusion rooms in Chicago, and my musicians were some of the best on the planet… but something wasn’t right. Jaco was dead, and I knew that something wasn’t right. When the Wal doubleneck arrived in July, several things were not right. Not the least of which was that “Wal” himself, Ian Waller, had passed away while the bass was in transit. I had just received what was likely the last Wal bass ever built by the man himself… And, I had come to find out that Ian had only made three Wal doublenecks: Jonas Hellborg’s; one ordered by Jeff Berlin (but eventually sold to a player in Munich); and mine… Once again I had a piece of bass history that I really didn’t feel comfortable taking from club to club, and studio to studio… I still needed a working bass. The lesson being: There are thieves everywhere, even in official uniforms. © 2010 by Mark Manley.